Violent Blondes are the new M.I.C. discovery in techno music. Quality, creativity and a strong message about the actuality of London’s rave culture. “Queen Of Bethnal Green” is released on Civil Disobedience Records. It is the first release of the label, which is founded by Violent Blondes. The release arrived two months ago, including Jason Fernandes’ (Subfigure / Intec / Drumcode) remix of the original. Still fresh and received well in London, Berlin, Ibiza, USA music media, such as Magnetic Magazine, Ibiza Voice, DJ Mag (USA) and made its radio debut by Dusky on Pete Tong’s BBC Radio 1 show and more. This track seems to be touching the minds of techno lovers for sure. Polemical concept of the EP is implemented through every detail, starting from the cover artwork to the voices on the tracks, intense rhythmic progression in a story telling structure. In a statement accompanying the release, Violent Blondes explain “The EP is a social warning about the dangers of mephedrone abuse, and the message is delivered in techno force. The music wants to arouse a wake up call […]”. 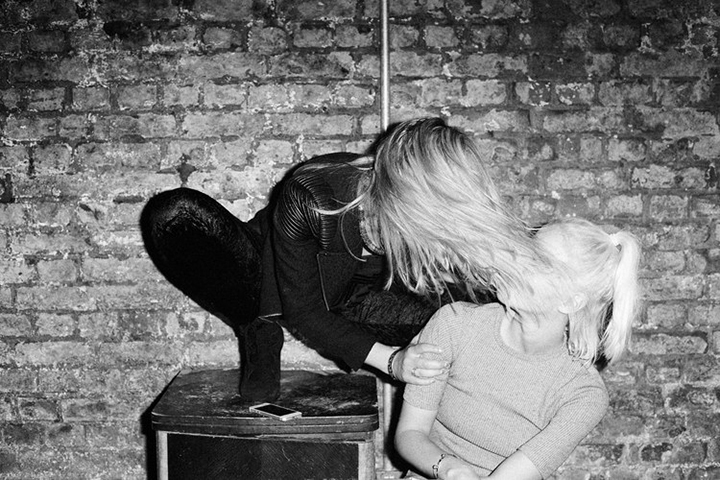 Violent Blondes “Queen Of Bethnal Green”, is when you can say – attention, music speaks!